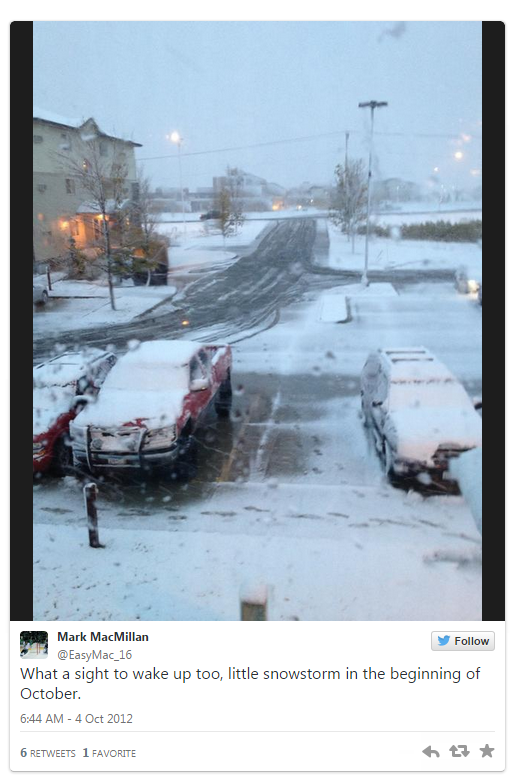 On October 3-4, 2012 an early season snow event impacting North Dakota and Minnesota. This followed a warm spell and with very dry conditions that year, there was previous to this snow even several wildfires in northwestern Minnesota. The phrase from fire to ice literally fit the situation. 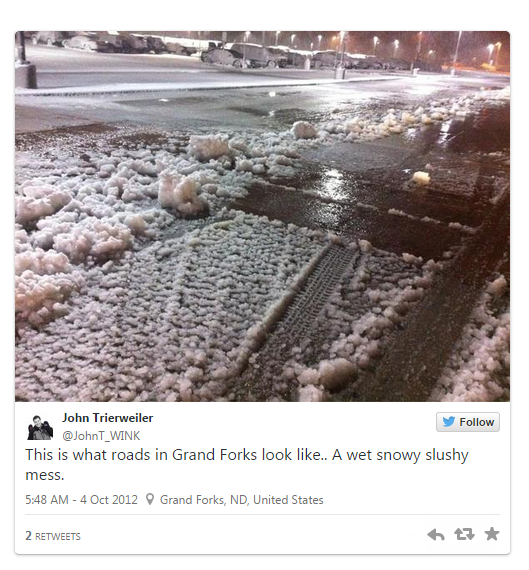 A couple of tweets of the event and the snow totals from the National Weather Service in Grand Forks are listed below.